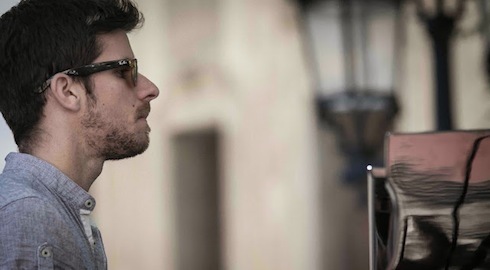 Marco Mezquida was born on the island of Menorca in 1987, he begins his studies at the age of eight, graduates in 2009 from the School of Music of Catalonia (ESMUC), where he studied jazz improvisation, classical and contemporary music with Albert Bover, Lluís Vidal, Agustí Fernández, Coll and Juan Ramon de la Rubia. Appreciating his work Mezquida has been awarded two years in a row as ‘Musician of the Year’ 2011 and 2012 by the Association of Musicians Jazz and Modern Catalonia. He has played in several European International Jazz Festivals (Vitoria, Vilnius, Vienne, London, Cannes, Brussels, Dusseldorf, Barcelona, Reus, Menorca, Terrassa, Madrid, Grenoble, Seoul, Orleans, Vic, Granollers, Xabia, Korea, San Javier in Murcia …) and has performed in renowned jazz clubs as the A Trane Berlin, Munich Unterfarht, Bimhuis in Amsterdam, Porgy and Bess in Vienna, St. Petersburg JKF, the Blue Train from Osaka and performes regularly at the Jamboree in Barcelona. He played with various orchestras/Big Bands conducted by Salvador Brotons, Joan Albert Amargós or David Mengual. He has recorded several music programs for the Catalan television.